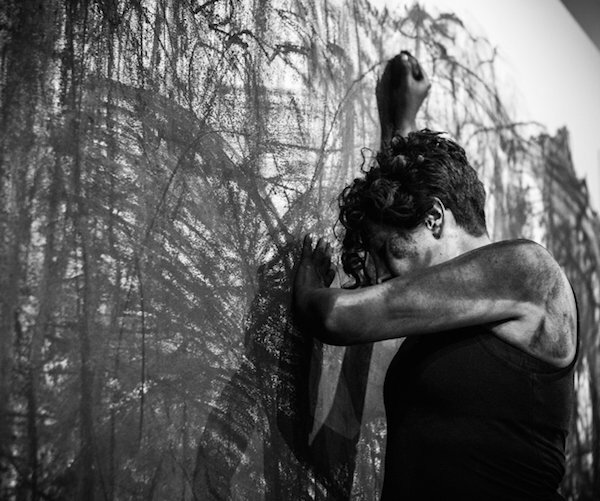 “Against Self-Sabotage” is a three-part performance utilizing drawing and dance. Part one consists of covering a space in charcoal. Part two, titled Commune (Intermission), invites viewers to join me in whittling down charcoal to be added to a bowl of water. Part three attempts to erase the charcoal from a space. Brianna Baurichter is an artist and curator currently based in the Midwest. Brianna recently earned her MFA in Drawing from Kendall College of Art and Design, and has previously studied in Chicago for her BFA and Visual Arts Management minor; Paris, France for fine arts; and Florence, Italy for art conservation.